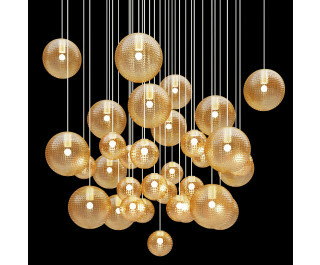 The Bolle pendant light by Vistosi has been designed by Barbara Maggiolo 2003. This hand creation design uses the "balotton" technique. Countless bubbles and reflections highlight the radiance and transparency of the crystal. This beautiful light was created on the island of Murano. Each light comes with a certificate of authenticity.